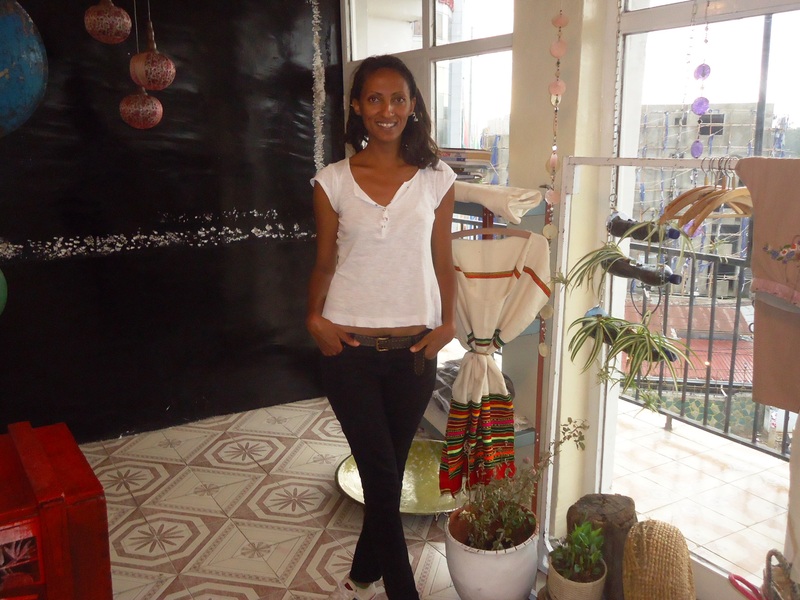 Ruth Woldeselasie is fast becoming one of Ethiopia’s hottest designers. Her designs, which are simple, straightforward and locally inspired pieces, are getting recognitions from different corners. She draws inspiration from country and urban folks in order to produce wearable and long-lasting clothes. In her ‘Urban Roots Couture’ label, the Addis-born designer is trying to mix fashion with street culture – pushing the boundaries to the maximum. Since its inception, Urban Roots Couture has received press coverage from major local newspapers such as the Capital, the Reporter. Ruth has recently styled the likes of Jano Band, the recent Miss Ethiopia pageants and Miss Universe Ethiopia. She has showcased her work at numerous places in Addis such as a solo show at Radisson Blu Hotel, and another one at Sheraton Addis to mark Rotarian’s 50th celebration. Last November, at Velvet Restaurant and Pastry, she collaborated with twenty enterprises that specialize in using recycled and organic-based textiles materials to create outfits. In the Hub of Africa 2012, she partnered with Sole Rebels, an artisan who manufactures eco-friendly footwear, to showcase her works in African Union Conference center. She also participated in African Mosaique’s group show, “Biennial Fashion and Cultural Gala” at Sheraton Addis on January 4, 2013. 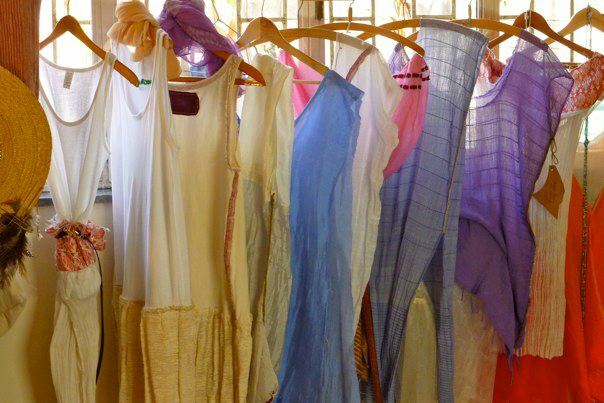 On December 15, 2012, she has staged an “Eco Friendly Fashion Show” at Alliance Ethio-Française. I caught up with her recently to talk about her works at her newly- opened-but- not -officially inaugurated store which is found in a building in front of Atlas Hotel. Tall and elegant with oval-shaped face and pointed nose, Ruth comes as unaffected and warm figure. Ruth believes her eco-friendly methods are the way forward, while still producing quality designs. “Making sustainable garments starts with creativity in the design. I try to create reduced waste garments through a particular weaving technique. I make clothes using things I find here. That is what we call eco-friendly. We should try to make use of waste in Ethiopia. If we don’t, it is like throwing out money. We can’t afford waste, “she says. But, most important of all, she learned responsibility and self-reliance. “I covered my expense. I lived alone. I was independent. May be that is my character,” she says. It has been a natural progression from there. She initially worked as a model, but she wanted to focus on the design and styling process. “You change agencies, different agencies. You start travelling, learning about other cultures. To find out what is outside my country. I didn’t only focus on modeling only. I was attracted to art, its creation, its faces and meanings, management, marketing, business, music. But again, for me, fashion is the easiest thing to do, “she says. The art led her to music and to take Dj’ing course in Milan and eventually to become a DJ as well. In London, she took marketing management courses. Yet, another course she took there would be an invaluable resource for the designing and styling career that she was taking up. It was called “Organic and Eco-friendly life style” and it has such a tremendous change on her perspective and outlook on life and her budding fashion career. “After I learned about eco-friendly or healthy life style, I started mixing it with fashion. That is my way of expressing my knowledge about such life style and things like that.” Ruth started to embrace a simpler, modern and organic lifestyle and started using traditional elements in her designing. In her outfits today, she is using organic cotton, Kaki, linen, bamboo and recycled leather trims as just some of the fabrics in her line. Ruth has worked with high-profile designers such as Franco Moschino, Jean Paul Gautier. She said she did mostly Alta Roma, a kind of fashion known to creativity, craftsmanship of tailoring and modern vision of fashion. After 15-year-old stays abroad Ruth returned to Ethiopia to kick off her dream career as designer and to launch her own brand, Urban Roots. 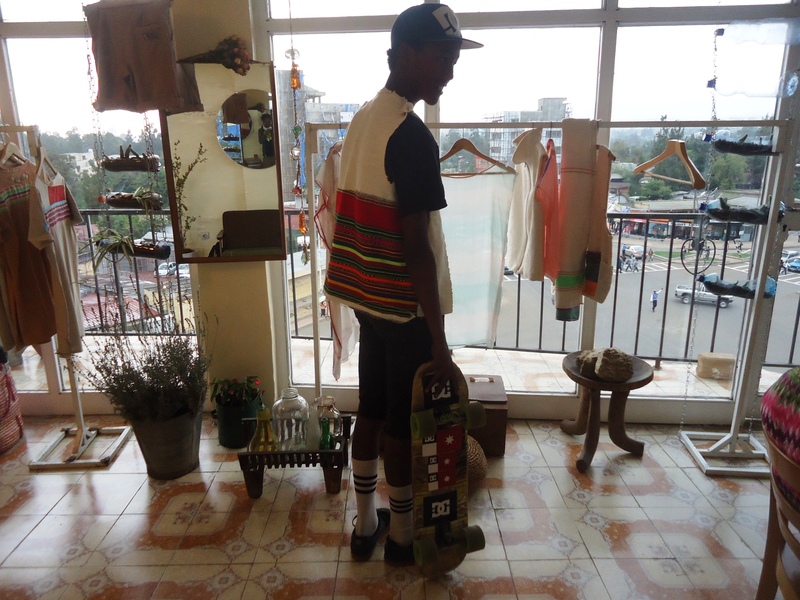 Ruth says that she found Addis as an inspirational places to live in and to create fashion with diverse concepts.She constantly looks for the new and experimental in her productions based upon a special combination of her concepts and designs. She strives to offer more affordable creations to a broader range of clients, not contradicting the overall trend of designing clothes that are easy going and wearable. She insists of using only hand embroidery for decoration on textiles instead of printing and giving work to people instead of having it fabricated in a machine.She meanwhile continues to soar above the clouds, proving that nothing is out of reach for the determined woman.